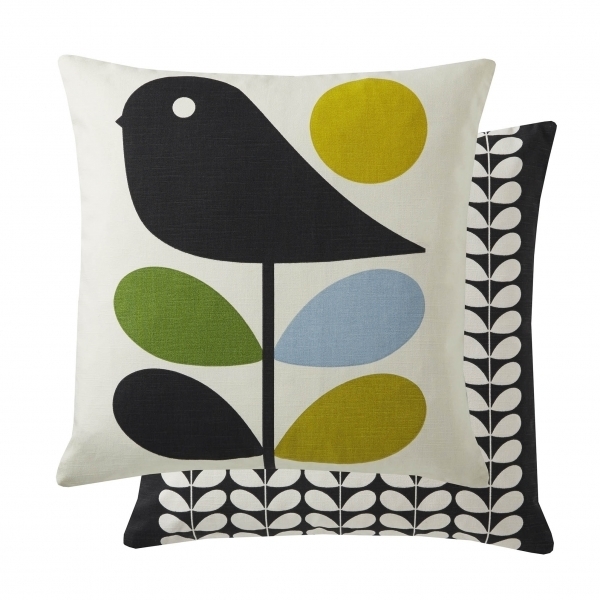 The early bird cushion is bright and distinctive in the traditional Orla trademark pattern. With a choice of pattern on either side. A must to brighten up any sofa.